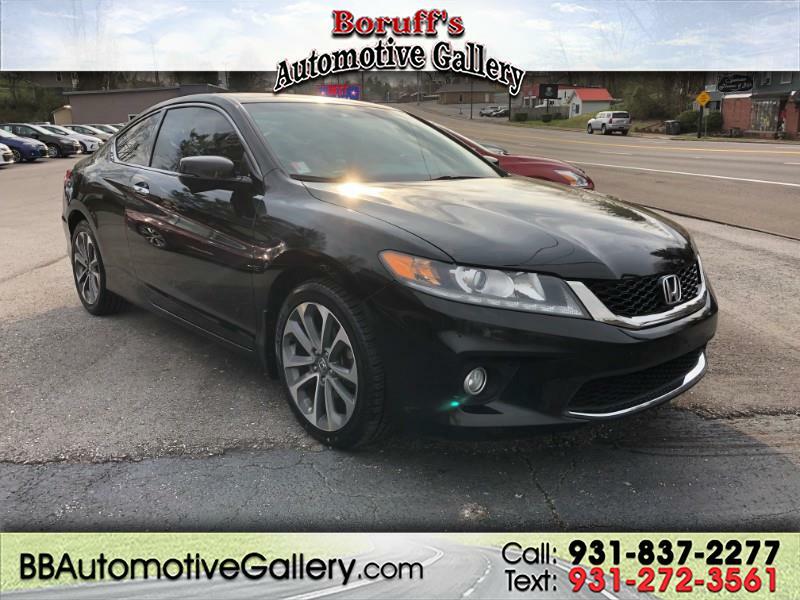 This 2013 Honda Accord Coupe is ready for you at Boruff's Automotive Gallery! It has a 3.5L V6 engine, automatic transmission, power driver and passenger seating with seat memory feature. It also has XM Sat/AM/FM stereo system with CD and MP3, remote keyless entry, heated seats and steering mounted controls and lots more. Come check it out while it last! Additional pictures and a free Carfax Vehicle History Report are available on our website. Go to www.boruffsautomotivegallery.com to see our entire inventory! Apply for financing safely on our secure website. Call 931-837-2277 today for more information. We welcome all trade ins. Come see us today at Boruff's Automotive Gallery 128 East Bockman Way Sparta,Tennessee!